Mapping quasi-free-standing graphene on SiC wafer – poster presentation (Graphene 2018, June 2018, Germany). 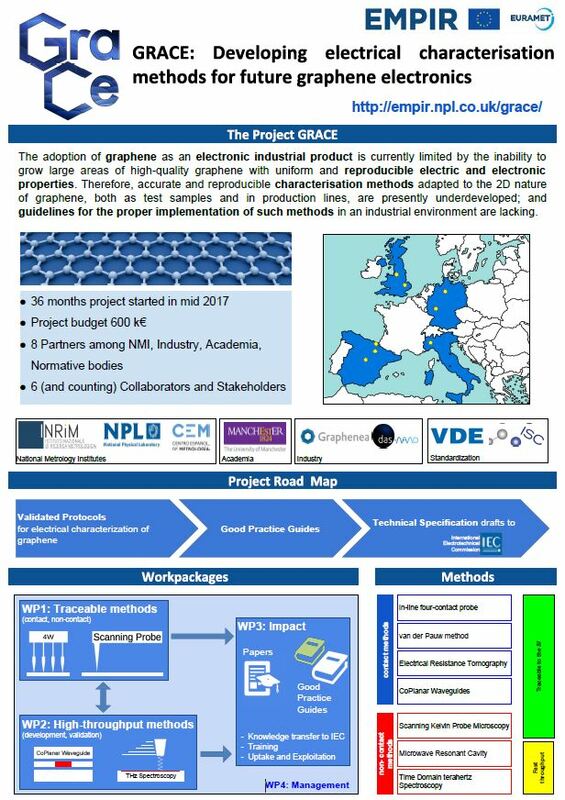 Towards the Standardization of Graphene: The Project GRACE – oral presentation (Imaginenano 2018 – GraphIn, March 2018, Spain). Graphene Standardization: Key Success Factor for Graphene Industrialization – oral presentation (Graphene 2018, June 2018, Germany).